The great pro bono debate: is it a good or a bad thing? - Should lawyers stop doing pro bono work, to allow the system to descend into chaos, thereby forcing the Government to reinstate legal aid? You can’t circumvent the system - Just because you are aggrieved by a decision of the family justice system does not entitle you to circumvent it. Family law can be better - The Sensible Party's manifesto for Election 2017. National Family Mediation made a submission to the House of Commons Public Accounts Committee inquiry into Child Maintenance, that was scheduled to begin on 26 April 2017. Following the announcement there will be a general election on 8 June, the Committee cleared its programme on inquiries. Jane Robey, CEO of NFM, said "On behalf of families up and down the country we are naturally disappointed that, following the decision to call a general election, a great deal of important government work in the field of family law is again being kicked into the long grass. "It looks likely that, whatever the outcome of the election, there will be changes in Ministerial positions which tends to make it hard for new Ministers to speedily pick up the thread of work that’s been developed in the recent past, lengthening delays to change." National Family Mediation (NFM) is the largest provider of family mediation in England and Wales, with over 35 years’ experience helping separated families make settlements over parenting, finance and property issues. Our work involves engaging with many of the same families profoundly and adversely affected by the years of central government mishandling of child maintenance issues. NFM considers the scale of the proposed write-off of unpaid child maintenance payments, outlined in the National Audit Office report, to be alarming. Thousands of children up and down the country are deprived of a better quality of life as a result. We are now in the third reinvention of child maintenance and all incarnations have involved writing off huge sums of money that should have been transferred to children, helping stave off poverty and taxpayer waste. As family mediators we consider that family based arrangements are by far the best answer when a relationship ends. But government intervention, by the way of child maintenance arrangements, is far less necessary than many people including Ministers appear to believe. Agreements can be made in family mediation, and we know they are much more likely to work for everyone involved, because parents themselves have had control of the vital finance decisions that shape so many aspects of their future lives. Parents who work together after separation focus their efforts on helping their children prosper despite their separation. We have been talking with various incarnations of child maintenance service provision since 2005. All have agreed mediation would be a good thing but none have been able to do anything tangible about moving forward the agenda. We are of course hugely frustrated by the apparent lack of central understanding about how mediation can help families and taxpayers. And are we really going to see another generation of children deprived of their entitlements because government departments can’t get it right? Engaging better with the family mediation process could and should have an immediate impact on the numbers of children receiving child maintenance, resulting in better longer term prospects as a result. The benefits of this to government department finances and performance would be transformative. 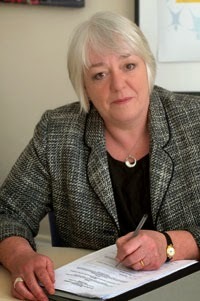 We are aware that the Public Accounts Committee’s primary remit is to monitor the use of taxpayers’ money and in conclusion would add that we consider greater government engagement with and promotion of mediation processes would help save hundreds of thousands of pounds of precious taxpayers' as well as helping separated families up and down the land. Is it ever a good idea to film children in a custody dispute? - As apparently happens, according to a story in a national newspaper. Accounting between a wife and a Trustee in Bankruptcy - Looking at the case Davis (As Trustee In Bankruptcy of Jackson) v Jackson & Anor. Court of Appeal confirm child should live with surrogate mother - The case Re M (Child). Outdated divorce laws which mean someone has to be proved ‘at fault’ - even when a couple agrees on the need to separate – creates a ‘bidding war’ of resentment and anger, says a leading family charity. As new research indicates courts can actually create conflict and encourage litigation, National Family Mediation (NFM) is renewing calls on Ministers to reform family law by introducing ‘no fault’ divorce. “The current legal need to prove a spouse’s ‘unreasonable behaviour’ itself fuels bad feeling between a couple,” says Jane Robey, NFM’s CEO. “We know from experience that very often a couple that has decided to separate just wants to get on with it, so they can make a fresh start. Yet outdated laws that mean someone has to be proved at fault creates a bidding war which then often escalates to a full-blown courtroom battle. Noting the Queen’s Speech is likely to take place next month, she points out previous failed attempts to reform divorce law because legislation has been introduced privately, without the weight of government backing that would see it reach the Statute Book. “It doesn’t have to be this way. If the government took the opportunity to bring forward its own legislation for no-fault divorce, time would be allocated and the Bill would be passed. “For Ministers it’s not a question of the volume of people affected, or the impact of legislative change. That’s undeniable. It’s one of will. It’s high time for Ministers to take long-awaited steps to divorce reform,” she concludes in a new article for Huffington Post. Khoo Kay Peng and Pauline Chai were involved in long-running divorce row following split after 42 years of marriage. Full story: The Guardian. Government figures show the number of final adoption orders made by judges has fallen by over 300 in the past year. Full story: Community Care. The cost of translating court documents served in family public law proceedings may fall on one or other party depending on the circumstances and cannot be decided in a blanket manner, the Court of Appeal has said. Full story: Local Government Lawyer. New and amended forms include those covering declaration of parentage, enforcement and protective orders. Full story: Family Law Hub. Husband’s appeal dismissed for ‘abject failure to abide by the principles’ of court’s procedural rules. Full story: Family Law Week. Appeal against child arrangements order in respect of a child born as a result of a surrogacy arrangement. Full report: Bailii. Application by husband for permission to appeal against refusal of application to vary periodical payments order. Permission refused. Full report: Bailii. Care proceedings concerning 5 year old girl of Lithuanian origin. LA sought approval of plan to leave her in the care of her foster carer under the auspices of a SGO. Plan not approved by IRO. Full report: Bailii. Appeal by father against refusal of permission to take children to live permanently in Iran. Appeal dismissed. Full report: Bailii. Application by father for summary return of child to El Salvador. Application refused, on the basis of settlement and harm/intolerability. Full report: Bailii. “We welcome the commitments contained in this report to help reduce parental conflict, and are especially pleased by the plans to expand the role and improve the services to families provided by JobCentre Plus. “As England and Wales’ largest provider of family mediation we look forward to further developing our relationship with the DWP in general, and with JobCentre Plus in particular. The DWP report can be found here. A sad tale of a father pushed to the limit - As the title says. Hague case “a very real and humanly painful dilemma” - The case being T (A Child : Hague Convention proceedings). Don’t expect much sympathy from the court if you don’t obey its orders - As in Assoun v Assoun [No 1]. Celebrating fifty years of freedom in relationships - When I'm sixty-four (and it ain't long now...). Warning comes as 600 people every day “running the gauntlet” of a divorce system that encourages conflict, says top family lawyer. Full story: Resolution. MIAMs and mediations both down on a year ago. Full story: Family Law Week. The Ministry of Justice has published statistics on activity in the family courts of England and Wales in 2016 and the fourth quarter of 2016 (October to December). Full story: Family Law Week. A father insisted on taking his five-year-old son to a conflict-riven country to visit relatives in defiance of the child’s mother, who was terrified he would be placed at serious risk. Full story: The Telegraph. See W (A Child: Temporary Removal From the Jurisdiction), below. Results follow National Audit Office’s examination of winding up former Child Support Agency and its replacement by new Child Maintenance Service. Full story: The Guardian. Appeal by father against order limiting his contact with child to indirect contact only. Appeal dismissed. Full report: Bailii. Application by mother for permission to appeal against order regulating holiday trips with the child to her native Poland. Full report: Bailii. Judgment on the issue of costs arising from an application under the 1980 Hague Convention on the Civil Aspects of International Child Abduction. Full report: Family Law Week. Appeal by local authority against the dismissal of application for a care order, in which the central issue was whether the child had suffered a shaking/shaking impact injury whilst she had been in the sole care of her father. Appeal allowed. Full report: Bailii. Appeal concerning issue of who should bear the costs of translating documents in public law proceedings. Full report: Bailii. Application by husband for permission to re-open appeal against Hadkinson Order, to amend his grounds of appeal and to rely upon further evidence. Application dismissed. Full report: Bailii. Appeal by husband against Hadkinson Order prohibiting him from proceeding with application to vary maintenance order whilst he was in breach of that order. Appeal dismissed. Full report: Bailii. Inheritance – Adopted children – Will written in 1946 – Domestic law did not include adopted children within the term ‘children’ for the purposes of this will – Whether the Art 14 and Art 8 rights of the grandchildren could be upheld. Full report: Family Law. Judgment in proceedings concerning the temporary removal of a child to a country that is not a signatory to the Hague Convention on child abduction. Full report: Bailii. 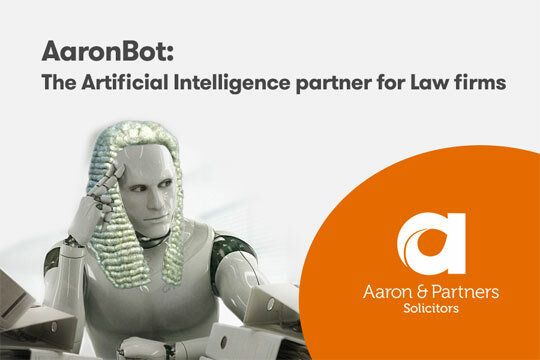 UK law firm Aaron & Partners LLP today announces the launch of AaronBot – an innovative artificial intelligence (AI) robot designed to replace underperforming law firm partners. Following on from the success of its ‘Expel Your Partner’ app – launched exactly two years ago today – AaronBot’s complex AI algorithm allows it to quickly recognise and replicate standard partner behaviours, such as shouting at trainees, never making tea or coffee in the office and taking credit for other people’s work. AaronBot also features the latest in speech recognition software and has been programmed to respond positively to any questions or criticism, whilst common law partner traits such as impatience, cynicism and petulance have all been left out of the robot’s hardwiring. “Non-performing law firm partners are a problem for many legal companies in the UK but up until we created our Expel Your Partner app there was no quick-fix solution,” said Mark Briegal, who heads up Aaron & Partners’ Partnership Law team. “Technology has moved on somewhat since then and that’s why we are continuing to lead the way in partnership automation with the creation of AaronBot. “It gives exasperated law firm partners the opportunity to substitute an underperforming partner with a more reliable replacement. And when placed into performance management mode, the robot can operate in conjunction with the management team to inspire improved performance or, if that fails, can even suggest the need for intervention and the possibility of expulsion with a direct connection to our “Expel Your Partner” App." The official launch date for AaronBot is still to be announced, but law firm partners wanting to be kept up to date with the latest news and updates from Aaron & Partners can sign up to the firm’s newsletter by emailing marketing@aaronandpartners.com. “Being a robot, there’s also the added benefit that AaronBot has absolutely no rights whatsoever when it comes to the business,” added Mark. To find out more about the services that Aaron & Partners offers visit www.aaronandpartners.com.